When you’re the owner and/or manager of a commercial building, there’s so much you need to do to keep your building in optimal condition for your tenants. There are so many maintenance tasks that continually pop up every day, plus rent always needs to be collected every month, bills need to be paid, and so on. Property managers’ To Do lists are absolutely endless… it can be exhausting! Amongst all the hubbub of your daily duties, it’s important to prioritize tasks that will ensure the safety and health of your tenants. For example, it’s always a good idea to have your property tested for potential contamination every few years. If you don’t have your property tested, you could be putting your tenants at serious risk for developing serious diseases. For example, many older buildings have popcorn ceilings, insulation, vinyl flooring and adhesives, HVAC ducting, and other materials that contain asbestos. There are several serious diseases that can result from exposure to asbestos, so you should definitely take protecting your tenants from asbestos seriously. The lung disease asbestosis causes scarring on the tissues of the lungs, limiting the ability of oxygen to enter the bloodstream. The cancer mesothelioma has also been linked to asbestos exposure. These diseases and others can take to up to 30 years to develop. Particularly if you’re planning on doing any renovations or remodels in your commercial building, it’s important that you call H2 Environmental Consulting Services at (800) 524-3578 to thoroughly check your building for asbestos. Don’t risk it – just call H2 Environmental Consulting Services for a complete environmental evaluation of your commercial building today. Another relative common contaminant in commercial buildings (and residential ones, too) is lead. Lead-based paint was used in just about every building in the US up until the late 1970s, when it was banned by the government. Many buildings still contain lead-based paint and other materials that contain lead (perhaps you’ve read about the current crisis in Flint, Michigan). 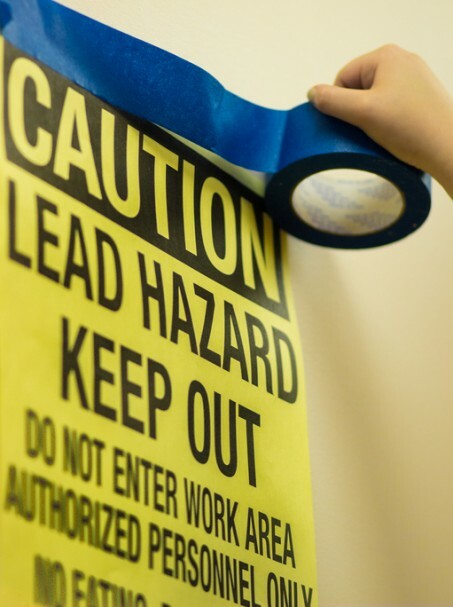 It’s essential that everyone takes steps to prevent lead exposure throughout the US. H2 Environmental Consulting Services is doing its part here in Southern California by offering complete lead detection and removal services. Call (800) 524-3578 to schedule your complete environmental evaluation today. When you call (800) 524-3578 to schedule your visit from H2 Environmental Consulting Services, we’ll set up the appointment at a date and time that’s most convenient for you. We’ll examine and analyze every molecule of your property – including its soil, water, air, and physical structure. If your property contains any harmful contaminants, you can be confident that we’ll find them. Then we’ll come up with a plan to thoroughly eradicate all harmful materials. We take every safety precaution and follow every governmental regulation to ensure your property is totally free and clear of contamination when we are done. Start working with H2 Environmental Consulting Services today by calling (800) 524-3578 or emailing CustomerService@H2Env.com. We look forward to partnering with you very soon. Let us do our part to make your building totally safe and healthy for your tenants – call us today!